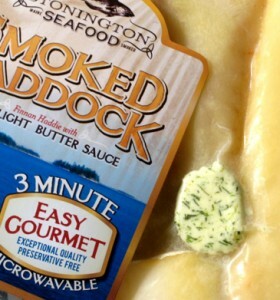 Three Minute Easy Gourmet Microwaveable Smoked Haddock! 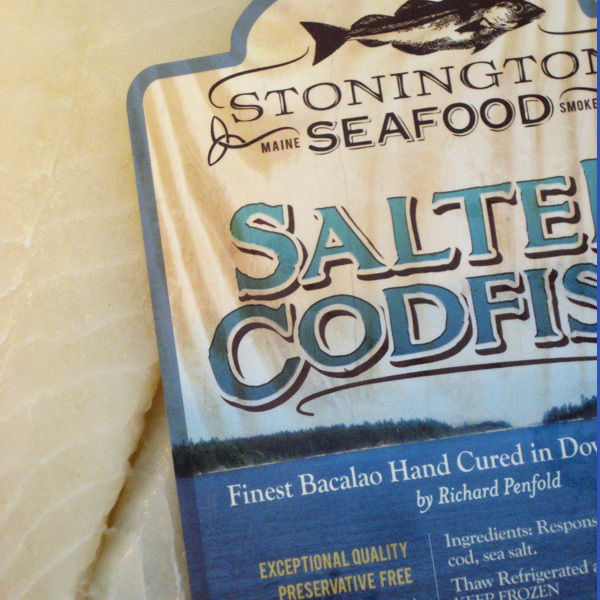 Stonington Seafood’s premium microwaveable packs contain Richard’s authentic Finnan Haddie made with skinless haddock. 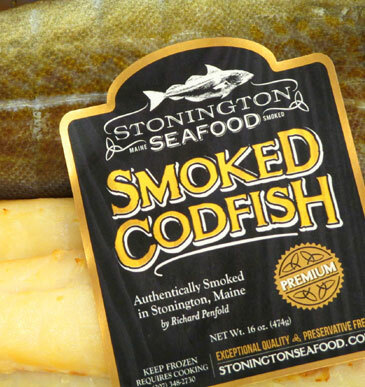 They have a delicious compound butter added, that is made with leek, Colman’s English mustard powder and white pepper. 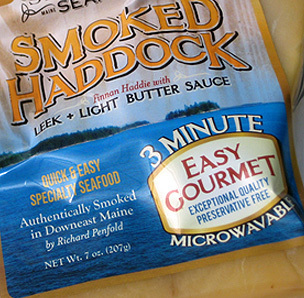 To serve in just three minutes you simply pierce the corner of the bag and microwave! 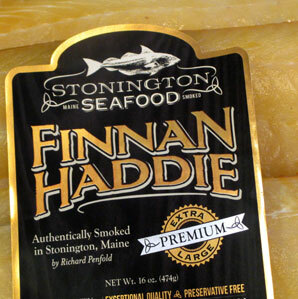 The delicate smoky taste of Finnan Haddie is truly delicious! 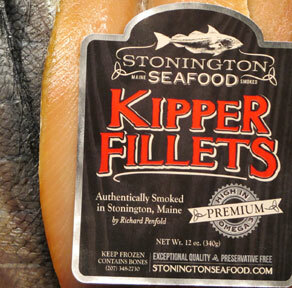 Each pack contains 7-oz for two servings. 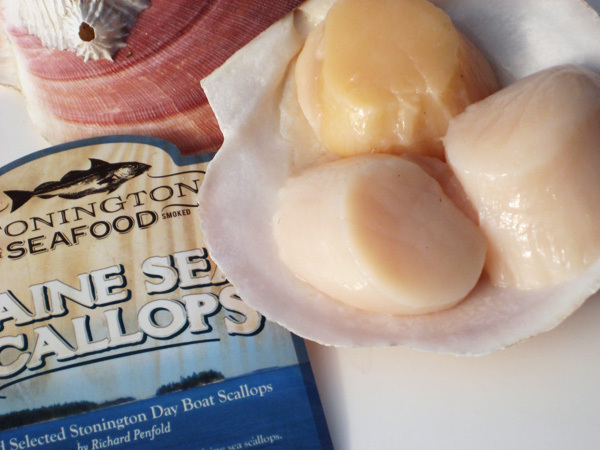 If you want to use with your regular recipe, just remove from the bag and use your favorite cooking method.